There's been a little chatter about this recently. Some of this may be because of the newer variations starting to appear. It's also showing up in more areas of the country too, so I figured why not make WW the BOTM. IMHO, I've been pretty good about not saying too much about the BOTM's lately. Sorry, but not this time around. This time I've got a lot to say. I'm not trying to be a braggart, but I probably know more about WW than almost any other member here. Notice, I did preface this by saying almost. Over the years, I've chatted with Steve Nally about WW on a number of different occasions. I've also been to the distillery, and tasted the white dog just off the still. I had a bottle from one of the first batches, and also a couple from more recent ones. So, I'm gonna say that somewhat qualifies me. First off, I'd like to say that I don't consider WW to be a craft distillery. (Yeah, I know I might get some arguments here. ) 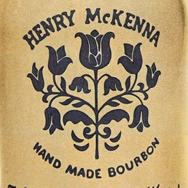 While they may be a smaller distillery, they never sourced any distillate for their bourbon. They never put out other spirits while waiting for their bourbon to age. And, they make only one product, or now, variations on that one product. The original WW was a wheated bourbon. That I know for certain because Steve Nally told me so. Considering that he has a preference for wheated bourbons, and that he was at one time the master distiller at MM, that's only natural. Another thing he told me way back when, was that he also was "getting some help/input from HH". He was pretty busy at the time he told me that, so I didn't inquire any further. Now I wish I would have. I'm pretty sure that distilling in the Wyoming climate and altitude had its challenges. I'm guessing that may be why the first few batches may have seemed a bit off. I tasted a sample from Batch #1, and it was just so-so. My bottle from Batch #3 was better, but did taste a bit young and light. My latest bottles from Batches #26 & 36 tasted just fine to me. Before I get into my tasting notes, I have one thing that I just have to relate about tasting the WW white dog right off the still. I've tasted white dog a number of times from a few places, and I'm sure many members here have too. Most times there's a popcorn or buttery popcorn nose and flavor. What I remember from the WW white dog, was that it was more of a toasted or roasted (for lack of better terms) popcorn nose and flavor. It wasn't regular or buttery, but at the same time, it wasn't quite like burnt popcorn either. Strange I know, but I just had to relate this. Legs-No Betty Grable here. Basically no legs at all. Up the glass and back down rather quickly with no separation. Nose-Vanilla, corn, with a bit of nuttiness added in. Taste-Light vanilla/caramel, a touch of oak, and way in the background a slight hint of citrus. This surprised me a bit. Rarely have I tasted citrus notes in bourbons. Even HH stuff. Other-I "taste" bourbon neat, but usually drink my bourbon with a cube or two. WW is different. I don't know if it's the (odd) 88 proof or what, but to me, WW is better sipping neat, rather than drinking it with a couple of cubes. Even though there may be a family resemblance, it ain't MM, and it ain't Larceny. Maybe it lies somewhere in between? Being the wheater lover that I am, I have to say that I like WW. Overall, I'd say that WW is a pretty decent bourbon, and worth a shot. That's just my opinion, and we all know about opinions. Now that I've put everybody to sleep with my incessant ramblings, let's hear what y'all have to say about Wyoming Whiskey. Cheers and happy posting! PS. Here's a couple of links to previous threads about WW with some good information and pics. Interesting choice Joe! I remember you talking about this one some time back - when you visited the distillery. I remember being intrigued by them at the time. I do get in wheater moods from time to time and since they are the minority bourbon mashbill I had high hopes for them. I tried them for the first time last summer while in Jackson Hole, WY. I wasn't very impressed. It wasn't bad, but it was very young. I have no idea what batch it was. Now, I'm hearing better things about recent releases so we will see where they end up. ^^^ I agree with VAGentleamn. That mirrors my experience, as well. When out West a couple years ago, this was one on my list to try. We were touring around with Trafalgar, seeing National Parks among other stuff. When we got to Jackson Hole I really wanted to scoop up a 750 of something for those evenings in the boondocks. I tried a pour of the WW at a bar there, and almost spit it out. I grabbed a 750 of OWA instead. I shared the OWA with several Aussies and a couple Kiwis who were among our merry band of tourists. They were very impressed! I have yet to experience a desire to go back for more of the WW, and don't expect to ever have that desire. Really nice website. I see it mentions being aged 5 yrs. I like that they are using only Wyoming ingredients and never sourced their juice. I don't think I'll participate this month but will look forward to following the discussion. I met these guys at WhiskeyFest last year and hoping to see them again this year. They were really nice guys and fun to talk to. They were sampling their standard version. It was not great. Then, they pulled out a bottle of single barrel barrel proof from under the table. Now, that was good stuff! This made me think that these guys know what they are doing and their stuff will get better as time goes on. I often wonder what some of these craft guys think about their own product if they were to be totally honest with themselves. None of the craft bourbons really stand up to anything from the big boys. And there's really no way for the crafts to know what their product is going to taste like until years down the line. At that point, they can either start all over or just release what they have and hope for the best. Everyone does the latter, but I wonder how much tweaking they do in their process going forward to try and get it right. 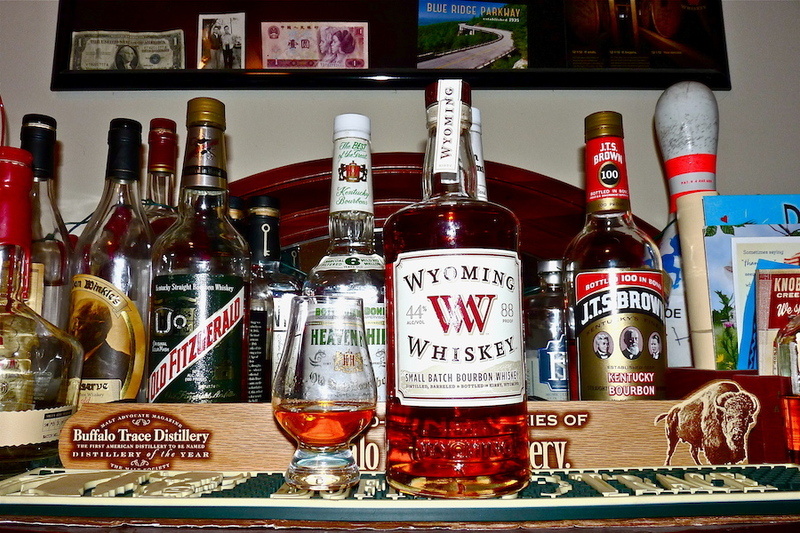 I tried some Wyoming Whiskey a few years ago and remember it being very astringent. I hoped for more out of it. It is on the shelves here in Lexington, but I think that it is quite pricey ( maybe in the $40 to $50 range). If it is in the low $30 range then I may buy a bottle to join the discussion. If it is more than that, then I will pass as I would rather spend that kind of money on something like Wild Turkey Kentucky Spirit, SAOS, or a whiskey row Old Forester. I'll look at the pricing the next time that I am in the liquor store. Not exactly the same but I tasted the barrel selection sample in a store less than 3 weeks ago (barrel proof @ 112.1) and really like it, it's not KY bourbon as Joe states above and that's likely where some of the differences come from but I liked it enough to have been through just under half the first bottle and have 3 more as backups - I like the bourbon, I like the fact that Steve got into the business and just stuck it out over the years to get a juice good enough to semi-mass market bottle and distribute without sourcing or producing gin or vodka. It took a lot of capital and I'd say this will be a "craft distiller" to watch closely in the next decade. I also like the price as retail on the barrel strength I got was $43.99 which in my opinion was a very good deal. I see they have the standard release in my area, but i haven't seen the Single barrel, barrel proof. Not sure I'm ready to drop $40 on it based on what I've read here, but I'm curious. WW has my attention, but what I've tasted so far has not been very good, unfortunately. It didn't start this way, but I know Nancy Fraley has been helping out here. This is a label to keep an eye on. They're not batting .1000, but they did have a limited release that scored liquid gold by Jim Murray. That honey barrel is one of the best barrels of the year. I think they're just scratching the surface . I picked up a 375 on sale for I think $12-$15 a few months back that I never cracked, this thread has motivated me to pop it tonight. @DeepCover, yes, I started working with Wyoming Whiskey back in October 2014, with batch #25 being the first one I assembled for them. Steve Nally had left in the spring or summer of that year, so they brought me in to bring some order into the production process after his departure. I don't think it is a secret that there were some issues with the whiskey early on. Also- and WW admits this freely- the whiskey was also initially released too young. Since I've been consulting for them, we've worked hard to overcome these early issues. It was sort of akin to turning a big ship around, like the Titanic, and keeping it from hitting the iceberg. It has taken a few years for the rudder to turn such a large ship, but I think we've finally turned things around and that there has been a major improvement in quality since then. As with any distillery, it is always a work in progress, but you have to be diligent with quality control. While I can't divulge everything that I've helped them with, there are a few things I certainly can say that have helped. First, we addressed the acetaldehyde issue, as many of the early barrels had this note and it came through quite strongly in the early batches. We have also worked on building consistency from batch to batch, going from 17 barrels per batch up to 40 per batch. We also now use what I call the "pyramid theory" to build the batches rather than blending based upon an algorithm, so that we are creating tiers or layers of flavors from carefully selected barrels in order to get a certain aroma profile that has more complexity than what there was early on. We've also taken the entry proof up from 110 to 114, as there weren't quite enough of the more alcohol soluble aromatic aldehydes in the earlier barrels. We are also now using higher quality cooperage with 24 month air-dried naturally seasoned staves. These won't be coming on line for a few more years, but the softer tannins will help make the whiskey rounder on the palate with less astringency. Finally, we no longer rotate the barrels. This allows for areas within the rick houses to develop unique aroma profiles, with some good honey barrels too boot. These aren't the only changes, of course, but they certainly have helped. If you want more info, I talk about the changes we've made at WW more extensively in episode 622 of Mike Gillespie's Whiskey Cast. I tend to agree with some of the other comments that the cask strength is better than the 88 proof version. Believe me, I've tasted several thousand WW barrels now, and there have been some single barrels that are just out of this world good. At any rate, for those of you who are familiar with the bourbon, I thought it might be interesting for you to have a little more background to the production process. Awesome info, and looking forward to the results of the work you folks have done. Drinking a pour of Batch 36, and while I dislike saying things like this is good for Craft, ultimately that is how I feel. There are some good notes in here, but also some astringency that is even more dominant with a little water. I would image like noted at a higher proof this could be much better. I'd like to try the Outryder BIB but I'm hesitant to buy a bottle, especially since it's sitting right next to WT Forgiven at Stew Leonard's at a similar price. I appreciate the post, thanks Whiskey Blender! Nancy, thanks for the insight and for taking the time to respond in such detail. I continue to follow WW and I wish them success. I regret not being able to pick up the LE barrel proof release they had. I would've gladly paid the $200 price tag based on the reviews I read. It does make me excited for what's to come. Fingers crossed for another excellent barrel proof wheater on the market. ...and this is why I come here. Great info. My local ABC just started carrying WW. I was hesitant to pull the trigger, but I see a bottle of this in my near future. Birth of another Granddaughter has me babysitting in Louisville. I got a bit crazy at the local Liquor Barn and this one was on sale for $35. I grabbed it to see what the fuss is about. Hopefully, I got one of the later batches. Just checked, it's batch #29, good info for sure. 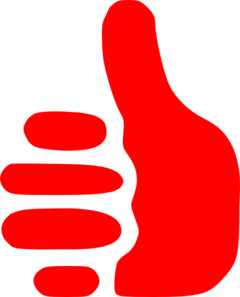 I will have to try and get back with my review, even though my knowledge is limited to a handful of regulars. Taste: citrus (like goo-gone) ie pure orange essential oil (valencia orange), orange branch, faint spice maybe i'm imagining it form the burn. 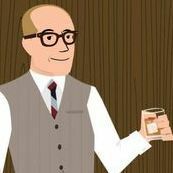 Other: I taste bourbon with about 5-10mL of water, the bourbon is hot. Lots and lots of citrus which I love. Slight bitterness somewhere in there. Very nice lingering of that orange citrus. I just opened the bottle last night so it will be interesting to see how this whiskey evolves. @ModestGlutton, yes, you'll probably get tons of orange citrus in batch #38, as that is a defining characteristic of the most recent batches, along with the vanilla and candy/toffee/caramel type aromas. I'll be out there in a couple more weeks to start assembling this year's batches, so no doubt I'll find a lot more of that orange citrus note. Glad you like the citrus! If you need a taste tester I am willing and waiting, just PM me. Also since I have your attention. I like that wood you are using I just wish it was a little more pronounced. Then again I only just opened the bottle so we'll wee what oxidation and time does. Though in the empty dry glass I wasn't getting the nose like Belle Mead (regular) I cant stop sniffing that empty glass. Best of luck. Saw some yesterday for a reasonable price. I haven't tried the "wheater" WW, but tore through a bottle of their rye-forward "Outryder" expression in record time for a craft whiskey. Excellent whiskey (not quite bourbon because of the blended mashbill), and I've already sprung for another bottle.